There are times when life gets complicated and circumstances make it impossible to keep up with all the expenses and the bills and the debts that result. Whether it is job loss, medical bills, or personal events such as death or divorce, credit card debt and mortgage payments can become overwhelming. Filing bankruptcy can be a very good solution and strategy for getting back on track with personal finances and eliminating credit card and medical debt. In order to eliminate credit card and medical debts and have a fresh start, it is usually necessary to go through the process of either chapter 7 or chapter 13 bankruptcy. However, it is not easy to go through this process alone, and it is always a good idea to talk to a bankruptcy attorney who is capable of handling the complex work as well as offering advice on how the law can affect on credit score. A skilled bankruptcy attorney needs to understand the current situation of the client and then come up with a game plan for eliminating debt. Deciding whether to file Chapter 7 or Chapter 13 bankruptcy depends on the amount of debt, as well as income and assets such as a home and cars. Chapter 7 bankruptcy provides complete elimination of unsecured debts such as credit cards and medical bills. 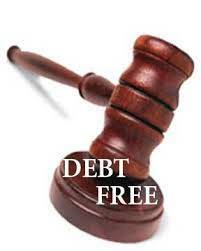 Chapter 7 also stops wage garnishment, collection of judgments, collection calls, and collection of personal loans. Chapter 13 bankruptcy allows for flexible time to repay for past due mortgage payments or car payments, in order to stop a foreclosure or repossession. Credit card debt can be eliminated by both chapter 7 bankruptcy and 13 bankruptcy. Creditors cannot contact the person who file bankruptcy after. Both chapter 7 bankruptcy and chapter 13 bankruptcies help people to eliminate overwhelming medical bills. Filing bankruptcy stops foreclosures and makes it possible to wipe out a second or a third mortgage on a house. A 2nd or 3rd lien can be stripped or eliminated by filing chapter 13 bankruptcy. Chapter 13 bankruptcy also prevents a lender from moving forward with a foreclosure as long as the homeowner can repay the mortgage debt from missed payments. An experienced Los Angeles bankruptcy attorney can advise about the local rules and the difference between chapter 7 and chapter 13 bankruptcies. In general, it’s best to meet with a lawyer that offers a free legal evaluation to advise a person about qualifying to file bankruptcy, who can explain the legal fees and the benefits of filing bankruptcy. Anyone who are facing serious problems like wage garnishments, falling behind on credit card and medical debts, facing a lawsuit or receiving collection calls can contact Consumer Action Law Group and get free legal advice from a Bankruptcy Attorney Los Angeles for bankruptcy needs.